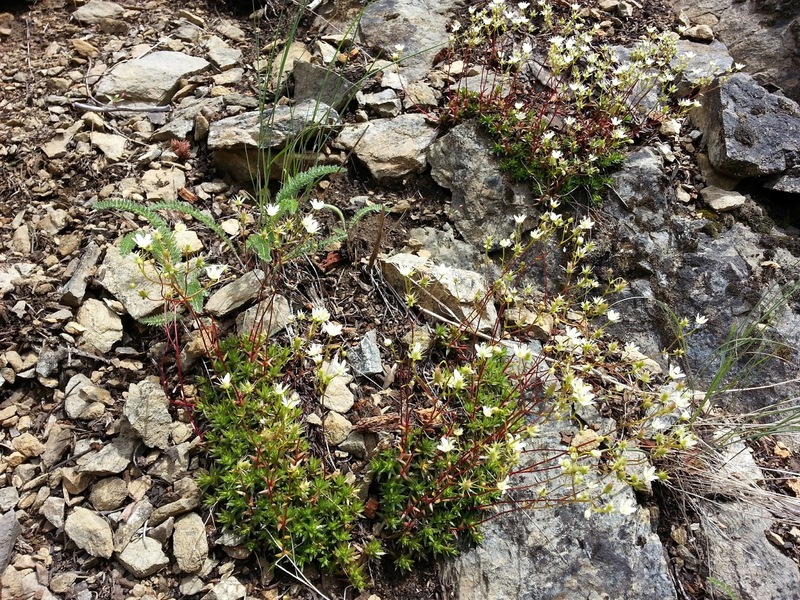 This article originally appeared in the Spring 2014 edition of The Bulletin, the quarterly publication of the Alpine Garden Club of British Columbia. Special thanks to editor Grahame Ware. 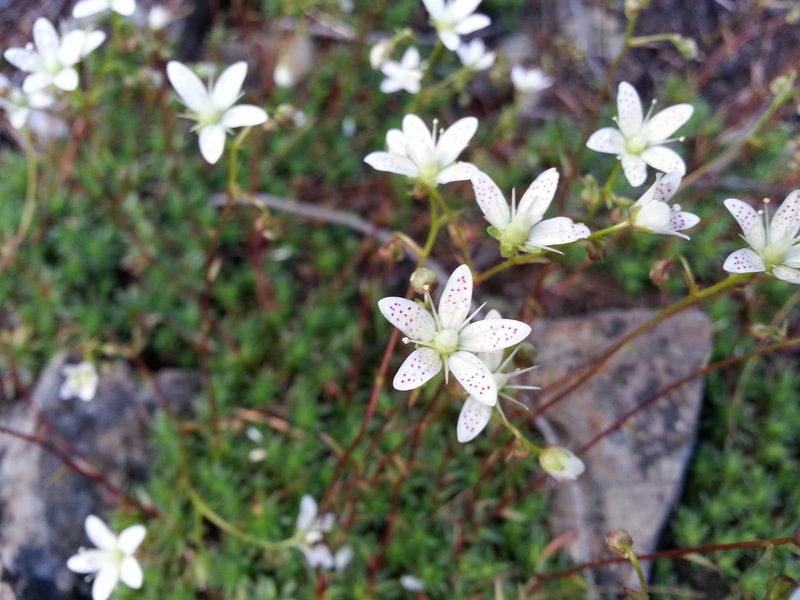 Having Googled Gary Lewis’ and Gary Bradfield’s papers on the Tulameen Ultramafic Complex Northwest of Princeton, BC, I had a pretty good idea where I could find a plant that I've sought for several years, Eriogonum ovalifolium v. nivale. Grasshopper Mountain, accessible from Tulameen, would afford me the opportunity to collect cuttings and/or seed for my garden. 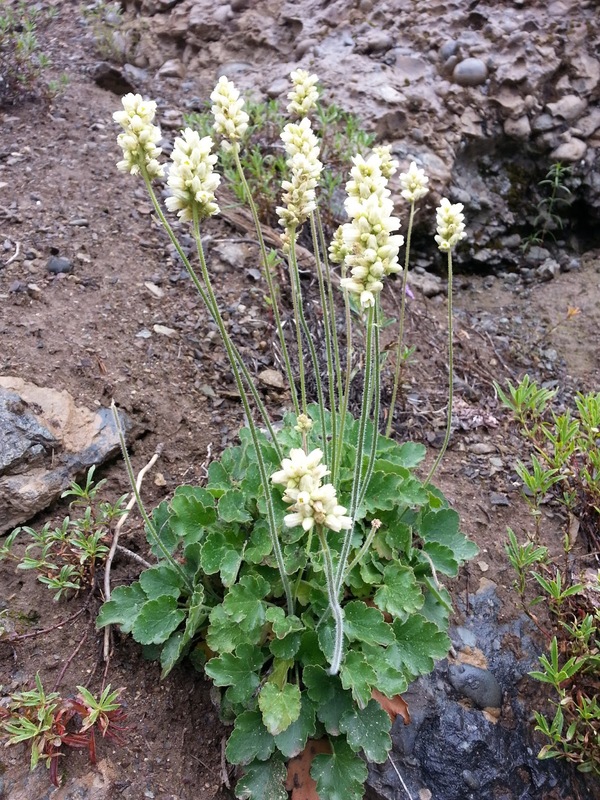 In addition, I would be able to photograph the plant for E‐Flora BC (www.eflora.bc.ca) as there were previously no photos of Canadian specimens. Lewis and Bradfield’s papers indicated that there were also a number of other special natives likely to be encountered in this zone. Abstract: While distinct floristic and ecological patterns have been reported for ultramafic (serpentine) sites in California and Oregon, those of British Columbia are muted which is thought to be related to the moderating influence of increased precipitation, a short time since glaciation, and the presence of non‐ ultramafic glacial till over ultramafic sites. 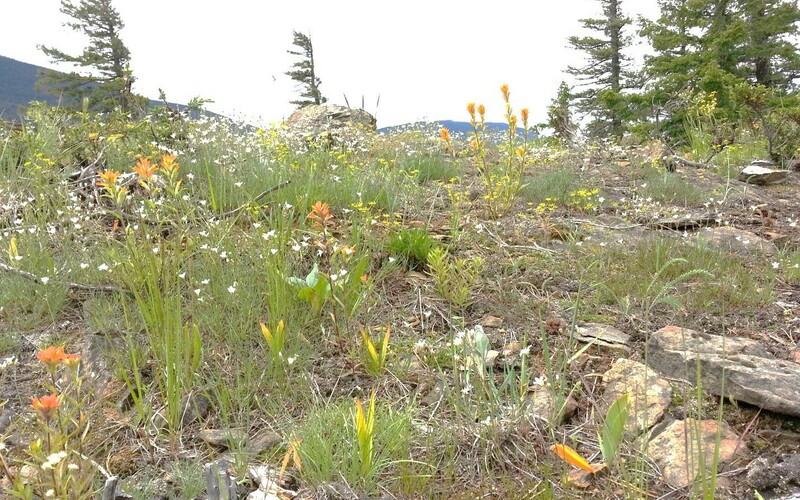 Despite these factors, we found clear floristic and ecological differences with respect to soil type at our study site on Grasshopper Mountain, part of the Tulameen ultramafic complex in southern British Columbia. Ultramafic soils support 28% of the local species richness and host more rare taxa than non‐ultramafic soils. Many species show patterns of local restriction to or exclusion from ultramafic soil habitats. 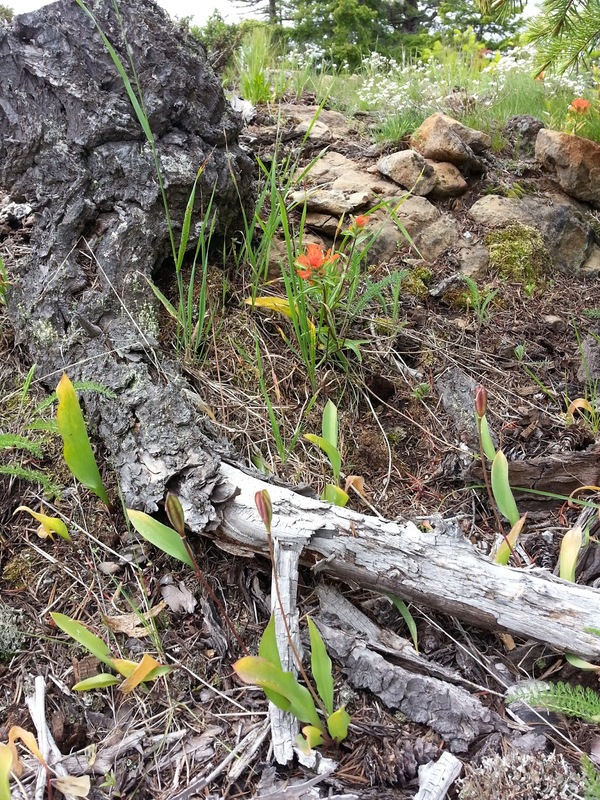 Patterns of plant family diversity also show differences between substrates. 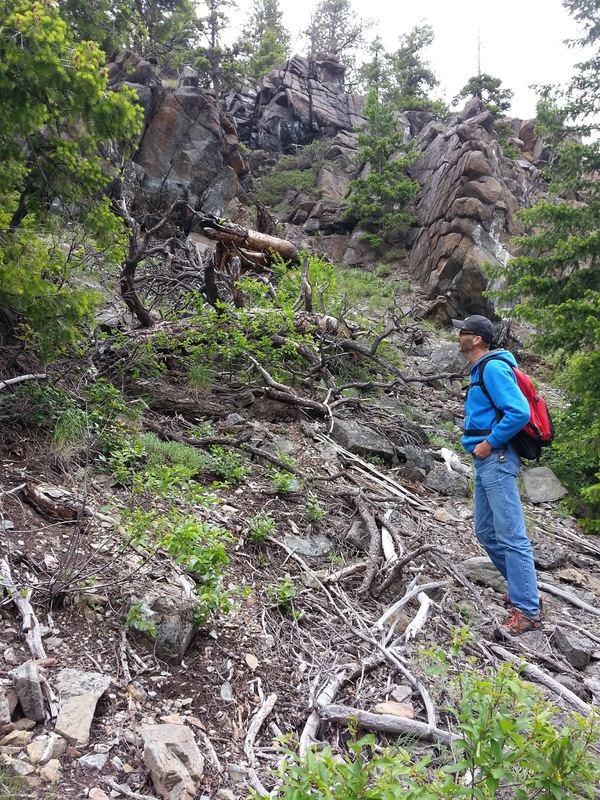 On June 22 2013, I was joined by Brent Hine, for a botanizing excursion to this special place. 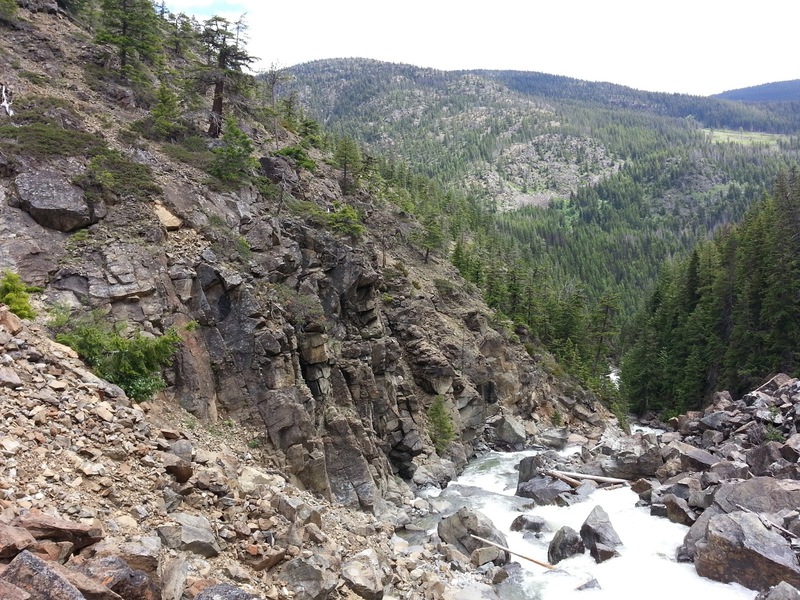 It is accessed via Tulameen River Road, a forest service road winding through the Hozameen Range along the Tulameen River, westward from Tulameen, BC (access it by heading west on 2nd Street from Otter Avenue). Brent and I found the road to be in suitable condition for access in my all‐ wheel drive SUV, but any pickup truck with good tires would’ve been able to negotiate the occasional rough patch. At the Britton Creek bridge, about 10 km West of Tulameen, we parked the car, walked eastward about 100 metres and turned North straight up the hill. Above: I use Geographic Information Systems (GIS) extensively in my botanizing. It is so easy today with tablets, smartphones, very inexpensive GIS apps and free GIS data. 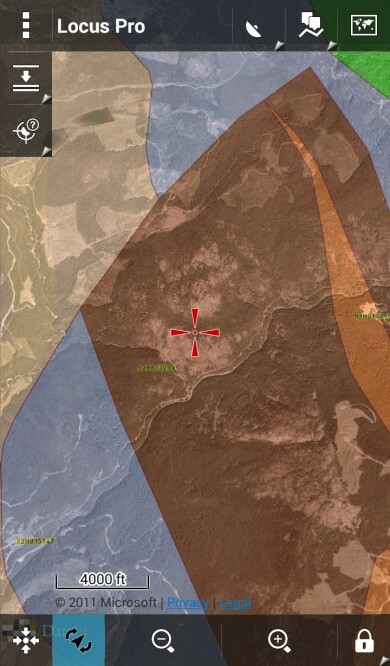 The image is a screenshot of my Android smartphone showing the Province of BC’s Surficial Geology GIS overlaying a satellite image of Grasshopper Mountain. The dark brown colour indicates the extent of surficial ultramafic rock. Another screenshot could show the GPS locations of all the plants I photographed, with links to the photos and voice or text notes. 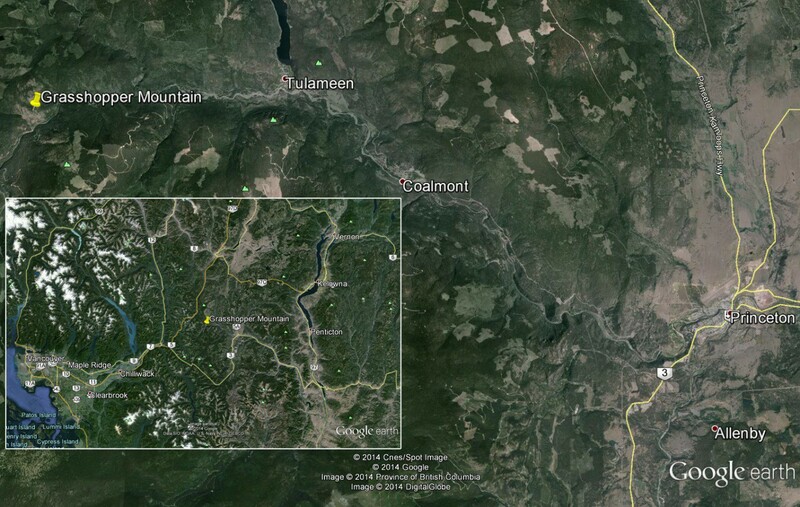 Above: Location map for Grasshopper Mountain, in the Hozameen Range west of Tulameen, BC. 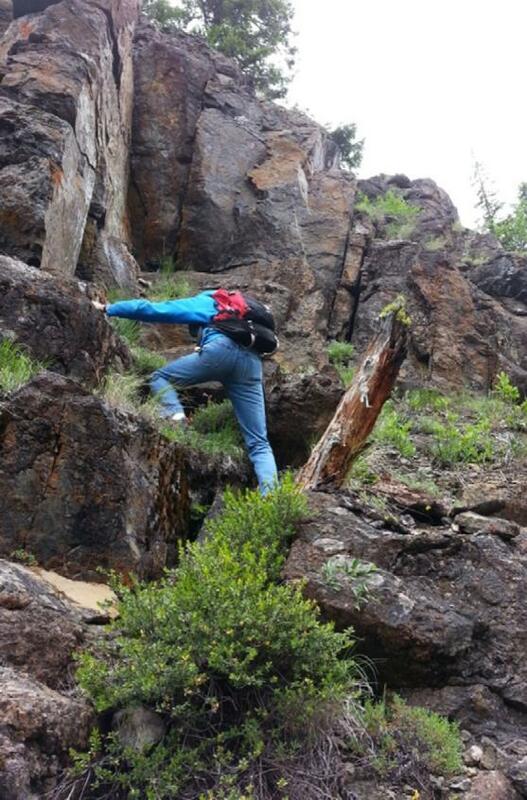 Access the mountain by heading west from Otter Avenue (Tulameen’s main street) on 2nd Street. 2nd Street continues onto the Tulameen Forest Service Road. Travel about 10km westward on the Forest Service Road and park at the Britton Creek Bridge. Grasshopper Mountain rises on the east bank of Britton Creek, so you need to walk eastward from the bridge – then hike straight up the mountain! 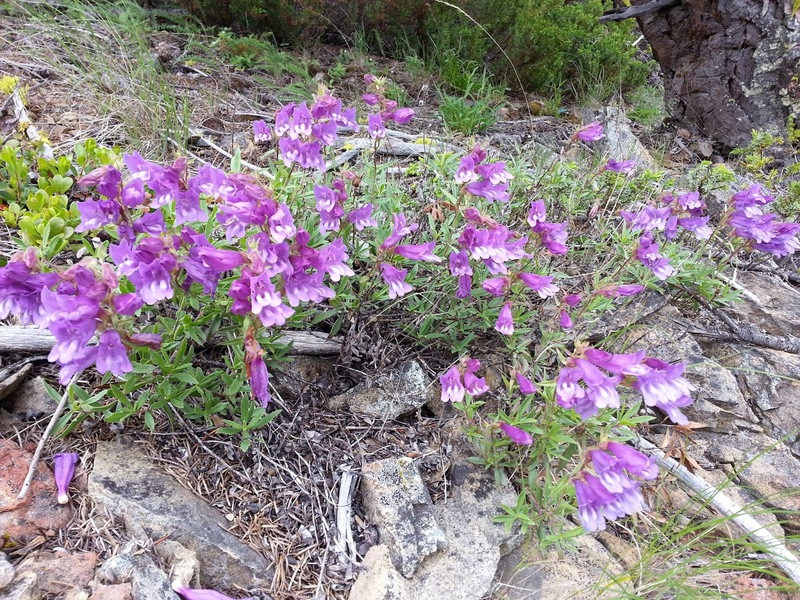 support a unique diversity – there are plants here that are outside of their normal range, while other plants are simply endemic to ultramafic soils. On more than one occasion climbing the rugged south face, I remarked to Brent how strange the rocks appeared – rusty red with a light sheen as if they had been coated in shellac. 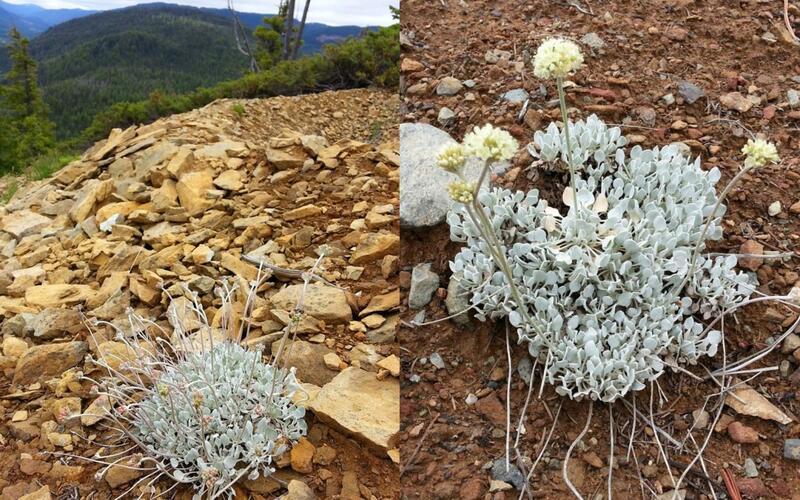 Above: Our most exciting find – Eriogonum ovalifolium v. nivale. Imagine this plant (perhaps after a ‘tidying up’) gracing your favourite trough! It appears I was successful in rooting cuttings of this plant, and I will endeavor to provide seed to the AGC‐BC seed exchange as soon as possible. Brent and I stopped to observe Packera canus, a favourite of mine, on a scree slope at approximately 1000m elevation. The loose, ultramafic talus was unlike any medium I had seen before, like broken, slightly metallic brick. Scanning the slope to the east, I saw more whitish clumps and at first assumed it was more Packera. However, I shouted at Brent to have a look when it became apparent that the foliage was similar in colour, yet smaller and more compact than the Packera. I scrambled over, traversing the slope and sending little landslides of serpentine talus down the hill, and began taking many photos, recognizing that the population might be limited to this one locale. 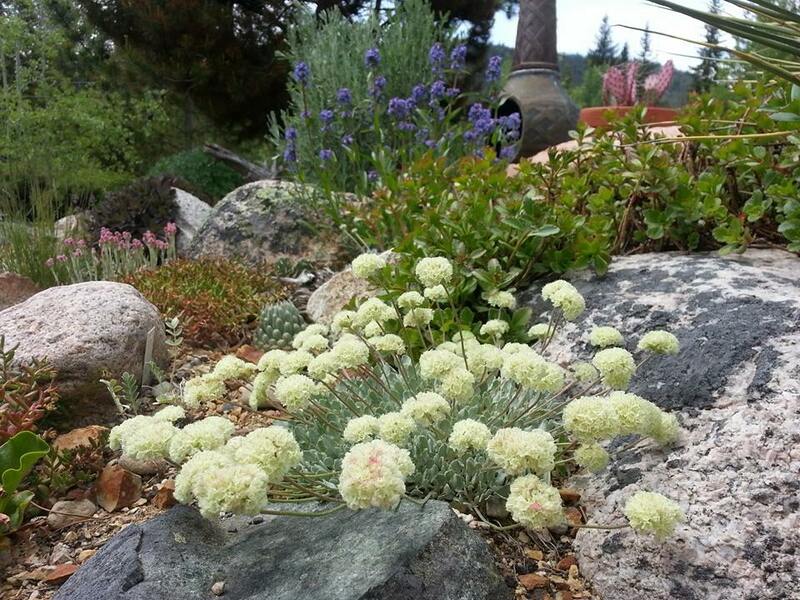 It was my target plant, Eriogonum ovalifolium var nivale! 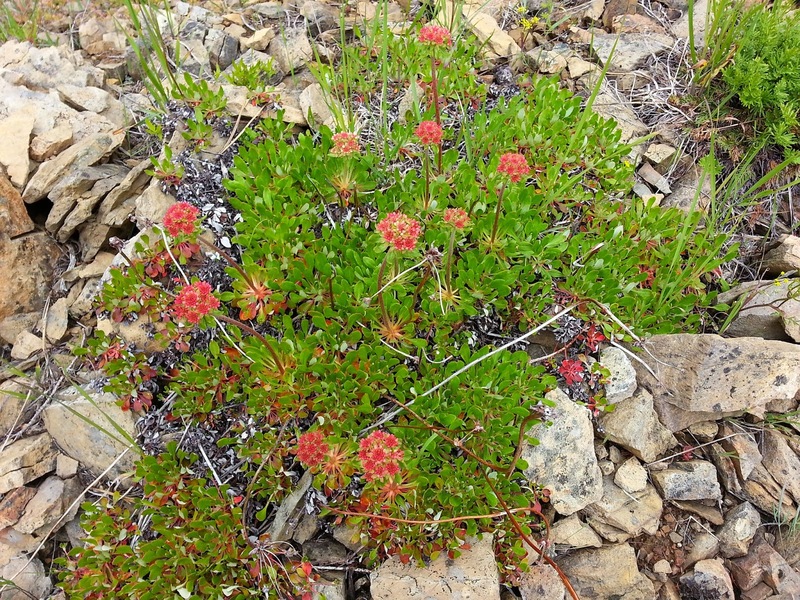 The pale, tomentose foliage on this plant was striking against the reddish, metallic‐looking ultramafic soils. While we were early for flowers, I was disappointed to note that these plants did not seem to be developing buds. I carefully took several cuttings and was careful to collect GPS data with my many photos, so that we could resume our hike onwards and upwards. At about 1200 metres elevation on the South‐facing slope of Grasshopper Mountain above the Tulameen River Road, the slope flattens out into a bench with absolutely exceptional meadows. 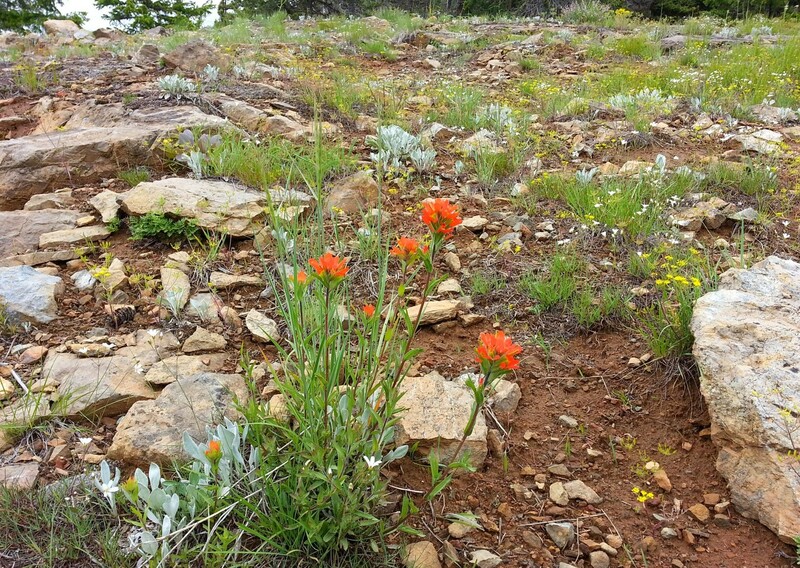 Eriogonum umbellatum v. subalpinum appeared, with early red buds, among a myriad of other blooming gems including Castilleja hispida, C. miniata, Arenaria capillaris, Senecio streptanthifolius, Silene parryi, Delphinium nuttallianum, Penstemon fruticosus var serratus, Erythronium grandiflorum, the aforementioned Packera cana and a plethora of other Asteraceae. The arrangement of the plants among the ultramafic boulders and outcrops was breathtaking. I took many photos of these meadows with krummholz Picea engelmannii and Pinus monticola, with distant Hozameen Range peaks as a backdrop. Above and below: Fantastic meadows feature an arrangement of plants and ‘’hardscape features” that would be the envy of any rock gardener. These meadows are dominated by Castilleja sp., Packera cana, Arenaria capillaris, Erythronium grandiflorum Eriogonum umbellatum, Silene parryi and Penstemon fruticosus. Our time at the site was drawing to a close as mid‐afternoon approached, and Brent led our descent down the western slope of the mountain towards the canyon in which Britton Creek tumbles towards Tulameen River Road. And, if you’re not Brent or me, don’t descend here. 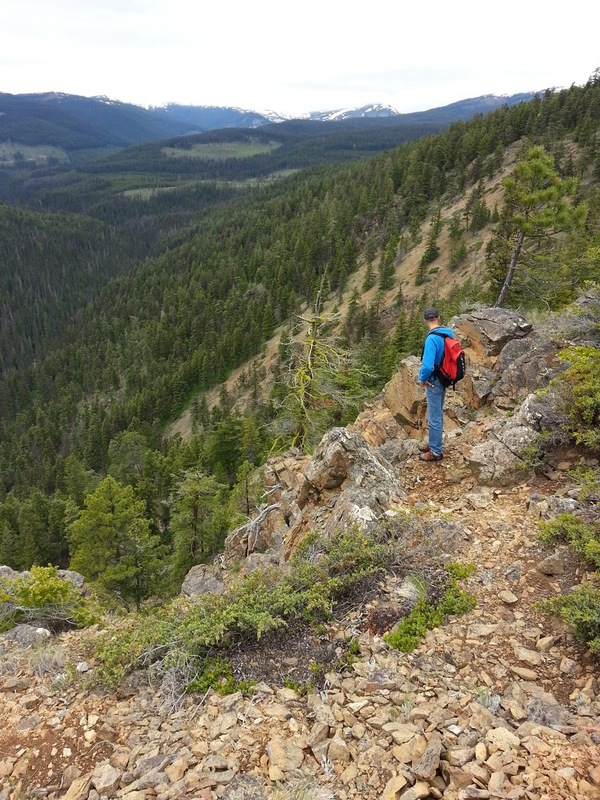 On the way down, we found ourselves negotiating dangerous cliff ledges through boulders and talus above the box canyon that is occupied by Britton Creek. I was scared and told Brent‐ just in case these were my last words‐ "Its been fun." Tombstone epitaphs aside, we made it unscathed to within 200m of our vehicle when ‐ on the final steep descent‐ each of us took a tumble and suffered superficial wounds. Your loved ones may prefer that when you begin your descent from Grasshopper Mtn, you take the easier and less dangerous south slope. 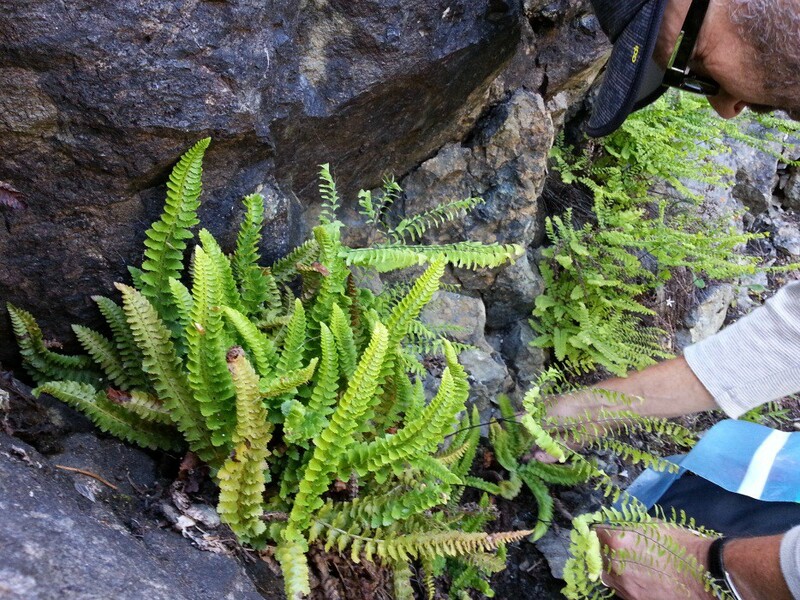 Above: Brent Hine collects spores from Polystichum kruckebergii and Adiantum aleuticum. shouted at me to join him in observing Polystichum kruckebergii, an ultramafic indicator species. (Ed: Named after the expert on serpentine endemics, Art Kruckeberg). 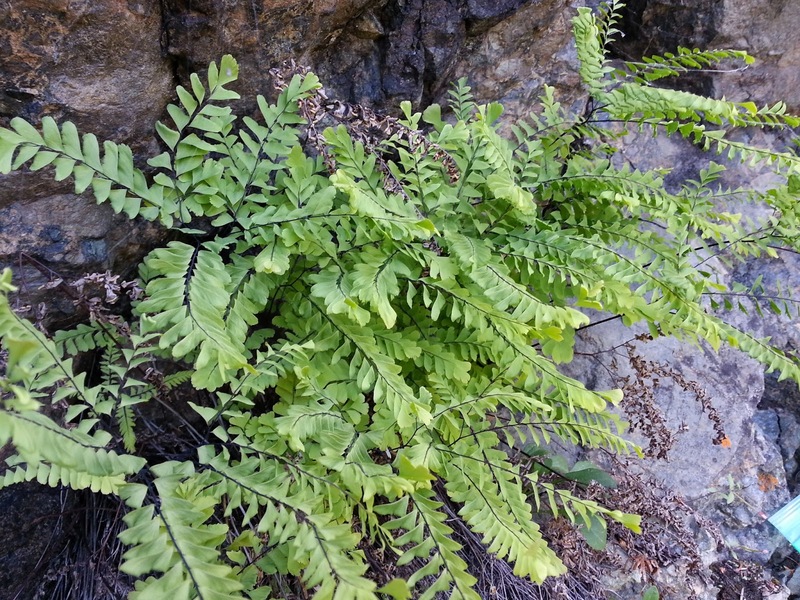 In one glorious spot, it was joined by another ultramafic indicator fern, Adiantum aleuticum. After Brent collected spores, we made our way back to the car. Driving back towards Princeton, we felt it prudent to stop for a beer at the historic Coalmont Hotel. Sitting in the hotel’s saloon, we felt as if we had been transported back to the turn of the century, chatting with colourful locals, who were pretty curious about our activities on Grasshopper Mountain. On the 40 minute drive back to my cabin near Chain Lake, I stopped and harvested seed from Happlopappus lyallii– a perfect end to a perfect day! Coalmont Hotel as pictured in April 1912. It hasn’t changed much in the last 102 years. Britton Creek Canyon. We hiked over that cliff on the left! 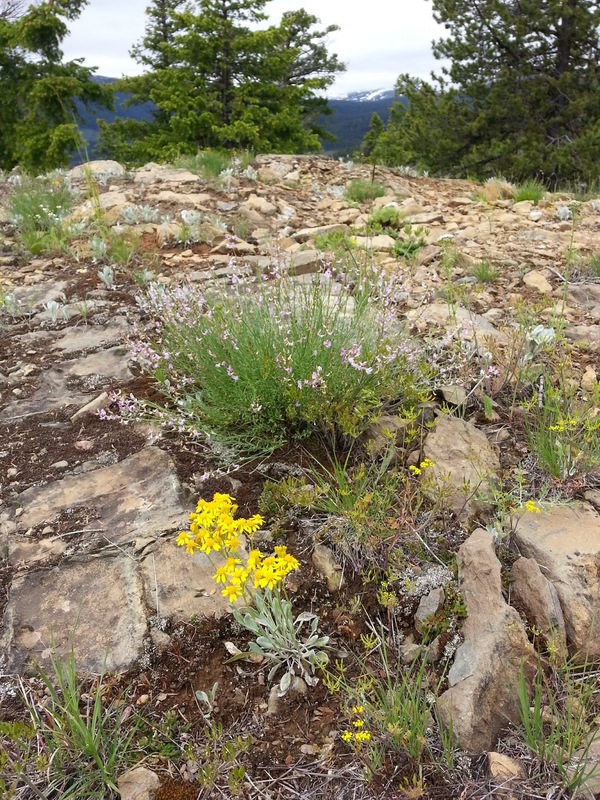 Another meadow view, with Packera cana in bloom, with lavender-colour Astragalus miser behind it among the ultramafic boulders. Strange looking ultramafic boulders and a fantastic plant community. We've got to go back! The only disappointment - we were too late to see glacier lilies (Erythronium grandiflorum) bloom and too early to collect seed! A view of the snow covered Cascades in the distance. Another fascinating blog … I would have enjoyed that trek with (or many yards behind probably) such good company. Would love to try some of those special spores.